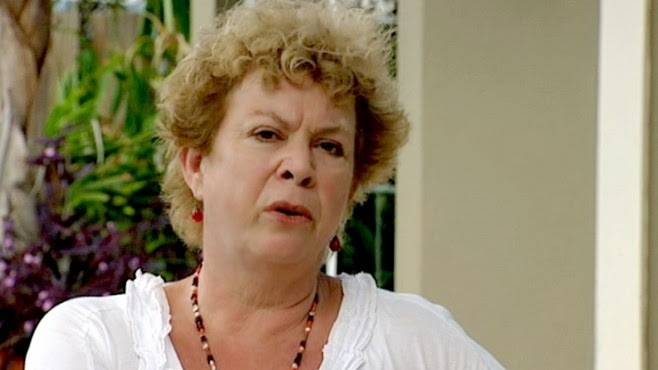 As I told you already in my last post; the Holloway case was a big cover-up and an insult to the Aruban people. Now I will explain you the second part of this conspiracy. On Juni 2nd 2010 Stephany Flores was found dead in an hotel room in Lima. She was lying dead there for already three days. Since May 30th, exactly 5 years after Natalee Holloway disappeared. Stephany was seen the night before in a casino together with Joran van der Sloot. Nothing was known about Joran van der Sloot since May 30th. So it wasn't long before everybody was pointing the finger at him. I already explained in the first part of this story how they tried to frame Joran for the disapparition of Natalee Holloway. In the end, Natalee never appeared, Joran's life was ruined, the case did a big damage on the Aruban economy and the only one that made a profit was Natalee's mother, that earned millions with the sells of her book and her movie. 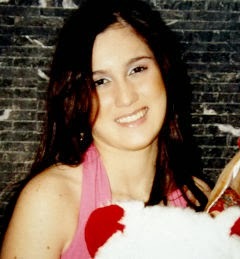 But didn't spend a cent in any private investigation or in anything that could help to find Natalee. But what was Joran doing in Peru anyway? It turns out that Joran searched contact with Beth Holloway. He offered her information about the location of her daughter's body if he would get the 250.000$ of the reward she was offering. Beth went directly to the feds. The FBI put in place a plan to catch van der Sloot. They gave Beth 25.000$ to give to Joran as an advanced payment, the rest he would get when he would tell her where exactly the body was. The feds wanted to arrest him for extortion, but for that they needed to lure him to a country from where he could be extradited to the US, and they knew that Joran wanted to go to Peru for a poker competition. But wait a moment... extortion? It was Beth Holloway in the first place who offered the ransom!! If later it turned out that he didn't know where the body was, that would be fraud, but extortion?! Anita van der Sloot, Joran's mother, wanted to intern her son in a mental institution to protect him from his often erratic and dangerous behavior. It seems that in the first moment he agreed. But now, with 25.000 bucks in his pocket, he "escaped" to Peru to gamble away his money. He didn't tell anything to his mother, who was shocked when she learned from the media that her son was searched for by the police of half South America. But what Joran didn't know is that he wasn't alone down there. The FBI followed him all the way. In Peru Joran gambled(and lost) all his money. But OK, let's go to the point. Did Joran van der Sloot kill Stephany Flores? Definitely not. It is true that Van der Sloot was seen together with Stephany in the casino, but when they supposedly entered the hotel Stephany was all the time looking down. The camera didn't catch her face a single moment. Why she didn't want the camera to see her face? And actually, was she Stephany ? It is very strange that the cameras which filmed them, a few days after Stephany died weren't there any more, and they looked very professional for an hotel. Were the cameras set in place by the feds who were following him all the way from Holland? And more important, why was one of the cameras exactly above the door of Joran's room? It looks that Joran was set up again. Did Joran really run away after killing Stephany or he just left because he was planning to do so anyway? Or maybe he realized that he had been set up again, he got scared and he escaped? If he really killed Stephany, why he didn't change his clothes in the three days he was "on the run"? When he was finally arrested by the Chilean police, he told them that Stephany was murdered by the Peruvian police. Could it be that he confused the feds who were following him with the Peruvian police and that actually the FBI killed Stephany? But who was Stephany? Stephany Flores was the daughter of Ricardo Flores, a wealthy Peruvian entrepreneur. She did come out as a lesbian some years before, but her father strongly disapproved her homosexuality. She was also addicted to gambling, and the last months before she died her problems at home made her gamble away thousands of dollars every night. Thus her father had a motive to kill her. She was embarrassing him with her open lesbianism and she was costing him thousands of dollars every night. And if she was a lesbian, why would she go with a guy to an hotel room? Former Stephany's friend Stephanie Jimenez told ABC news from her safe haven of Miami that Stephany Flores would never have done that. Was there a conspiracy between Beth Holloway, The FBI and Ricardo Flores to murder Stephany and set up Joran van der Sloot? Ricardo Flores is a Peruvian businessman in the spectacle sector. He has lots of contacts in and out of Peru. But the most interesting ones are the ones he has with the dictatorship of Alberto Fujimori, who imposed a reign of terror on Peru during the nineties and enriched himself together with his cronies with drug trafficking meanwhile on the media he would blame the drug problem on the Maoist rebels who fought(and still fight) for the freedom of the indigenous peasants in Peru. Flores was the organizer of the political rallies of Fujimori's party. He has also ties with Vladimiro Montesinos, head of Fujimori's security services and one of the most sinister characters in Peru. Flores is also friend of the owner of the Atlantic City casino, the casino where Joran van der Sloot and Stephany Flores were seen together the day she died. With this kind of connections it would not have been difficult for Ricardo Flores to prepare the murder of his daughter and blame it on Van der Sloot, and more if the FBI also helps him with it. But we already said that the girl seen on the images may not be Stephany Flores. So then the question arises: where is Stephany Flores? Probably she was ritually sacrificed by her father and his Illuminati cronies. Then, when the cameras were already gone they placed her body in Joran's room. Joran didn't kill anyone, neither Stephany nor the other girl. Knowing the level of corruption in the Peruvian police, the material evidence against van der Sloot could have been easily fabricated. Beth Holloway was out on getting van der Sloot's head since 2005. For this she had the help of the feds, who were on the pay of her benefactor Joe Mammana. Ricardo Flores wanted to get rid of the daughter who was bringing so much shame on him and maybe make some kind of bizarre ritual with her. They united their forces and in the end they got their way. Now Joran is serving a sentence of 28 years in the Castro-Castro prison. Last year the Peruvian government approved the extradition of van der Sloot to the US. But first he will have to serve his time in Peru. In the USA he will be judged for extortion and he could get up to ten years in prison. Joran still has the hope that they will let him serve part of his time in The Netherlands, from where it would be more difficult for the Americans to get him extradited to the USA. But with the amount of pressure that the Americans are putting on the Peruvian government that seems very unlikely. His life is ruined. After serving his time in Peru; plus the ten years he'll have to serve in the United States he will be sixty years old. And that if he is not murdered in jail to stop him from telling something he may know about this big conspiracy. This sad case is just one more example of the horrifying crimes that the Illuminati commit against children and young people for their totally sick pleasures. And of how they use innocent patsies to cover it up. To all this lost youth and to all those innocent men in prisons all around the world should go our prayers. Greetings and I'll be with you again in a few days with another fascinating conspiracy. See you soon!